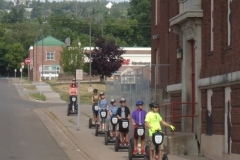 Overview of DuluthGlides Segway Tours – Duluth Glides – See Duluth on a Segway! 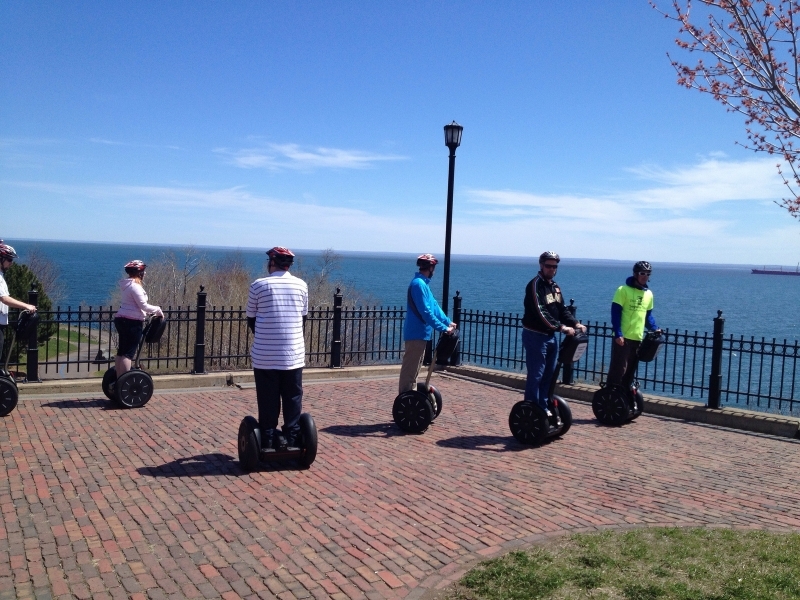 Glide into the heart of Duluth effortlessly on your own Segway Personal Transporter (PT). Multiple tours for every budget. Explore more highlights of Duluth on your PT than possible by any other mode of transportation in a fraction of the time. In addition to the pure excitement of riding the PT, enjoy the narrated tour pointing out the interesting history and facts about this great city via your own wireless audio system. 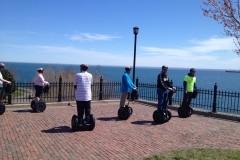 We offer five thrilling tours to choose from: Lakeside Segway Tour, Segway Experience Tour, Historic Holmes Segway Tour, Segway to Glensheen Mansion Tour, soon The Downtown Historic Segway Tour, and a Private (non scheduled) Segway Tour to accommodate your group on your time and your schedule. Our guided Segway Tours range from 1 to 3 hours in length from $45 to $115.30. 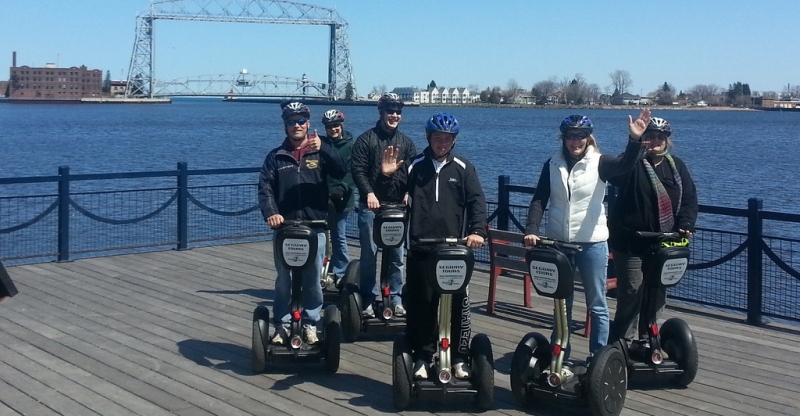 DuluthGlides Segway Tours was founded in May 2013 by Don and JoAnn Sipola. Don was always interested in the Segway, since he saw the “IT” debut on Good Morning America. They had taken numerous Segway Tours around the country and fell in love with the experience. 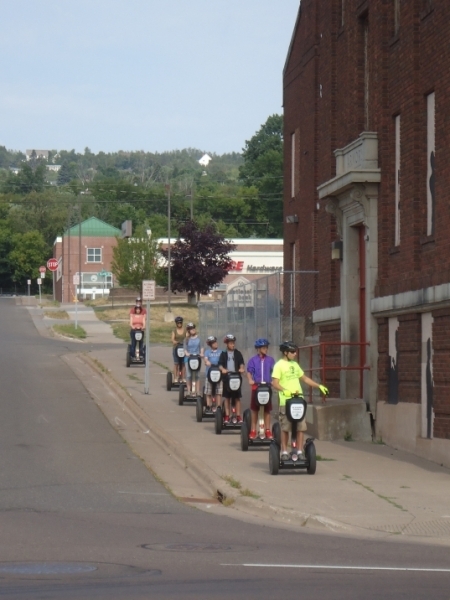 After purchasing two units for personal use, on their very first glide in Duluth, they felt this Duluth experience was better than any tour they had previously taken, by far. Taking the best ideas from all the other tours, including using FareHarbor as their ticketing agency, they formed DuluthGlides LLC. Based on their unedited average score of 4.9 out of “5” Star reviews from 2013 to date, others agree this is a phenomenal experience and in many cases the highlight of their entire time in Duluth. Locals have equally been enthusiastic. 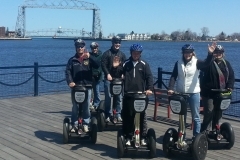 Our guests say Duluth Glides is the best way to see Duluth, up close and personal. Tours are led by experienced guides who provide live wireless audio narration along the tour. No experience is necessary as comprehensive training will be provided prior to departure. Our safety record is impeccable, with over 24,000 Segway miles traveled prior to the start of the 2018 season. The FAQ section of each tour should answer all your questions. This is the perfect activity while visiting Duluth, to share with friends or relatives from out of town, birthdays, anniversaries, special occasions, or just to have a blast! Don’t miss out on this amazing experience! There are no other tours in Duluth that combine all the attractions, history and FUN in the same amount of time. Join us, you won’t regret it!